Haseeb Aslam, the Country Business Manager, Nestle Water visited Lahore School of Economics on July 01, 2010 and gave a talk to graduating students of MBA / MSc (Economics). The guest speaker deliberated on brand equity in detail. The talk was attended by faculty members in addition to tstudents and was followed by interactive questions and answers session. 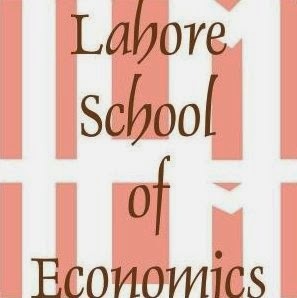 Hamza Marth of KASB Securities, affiliate of Merrill Lynch - Lahore School of Economics graduate (2005) was conferred "Best Research Analyst Pakistan - 2009" award in Karachi. CFA Association of Pakistan (CFAAP) organized seventh annual Excellence Awards. Hussain Dawood, Chairman, Dawood Hercules Chemicals Limited, Engro Corporation Limited, Karachi Education Initiative/Karachi School of Business and Leadership, and the Pakistan Poverty Alleviation Fund was the chief guest on the occasion. CFAAP is a non-profit professional organization of local investment professionals, and a member society of CFA Institute, USA. CFA Institute is a global organization of analysts, portfolio managers, and financial professionals, and administers the prestigious Chartered Financial Analyst (CFA) program worldwide.